WILSONVILLE, OR — At the Wilsonville City Council meeting on March 18, 2019, Mayor Tim Knapp delivered his 11th State of the City Address, detailing Wilsonville’s recent progress and setting the City’s objectives for the months ahead. The Mayor’s annual presentation underlined the City’s desire to provide for “all ages and stages of life,” including access to high-wage jobs, affordable housing and transportation alternatives. Mayor Knapp detailed many of the City’s recent advancements, including new development at Frog Pond West, the near-complete Town Center Plan, the scheduled delivery of two new electric buses and the development of a plan to guide the City’s investment in arts, heritage and cultural programs. After a public hearing, the City Council adopted the proposed Signage and Wayfinding Plan that the Planning Commission approved on Feb. 13. The plan guides thoughtful placement of well-designed, easy-to-read signage that helps pedestrians, cyclists and motorists easily locate Wilsonville destinations. The first phase of the plan includes kiosks to be placed at six high-trafficked sites, including Town Center and the transit center. On second reading, the Council adopted two ordinances to annex and rezone approximately 24 acres within the Frog Pond West neighborhood. These actions enable the residential development of the Frog Pond Meadows subdivision, which consists of 74 single-family homes. The Council granted annual property-tax exemptions to five, nonprofit-operated multi-family facilities — Autumn Park Apartments, Charleston Apartments, Creekside Woods LP, Rain Garden LP and Wiedemann Park — that all together provide 366 residential units of affordable housing. These exemptions, which total $274,000, allow the facilities to provide lower-cost rent to families, seniors, low-income persons and individuals with disabilities. Council approved an interagency agreement with the City’s Urban Renewal Agency to finance the construction of Garden Acres Road within the Coffee Creek Renewal Area. 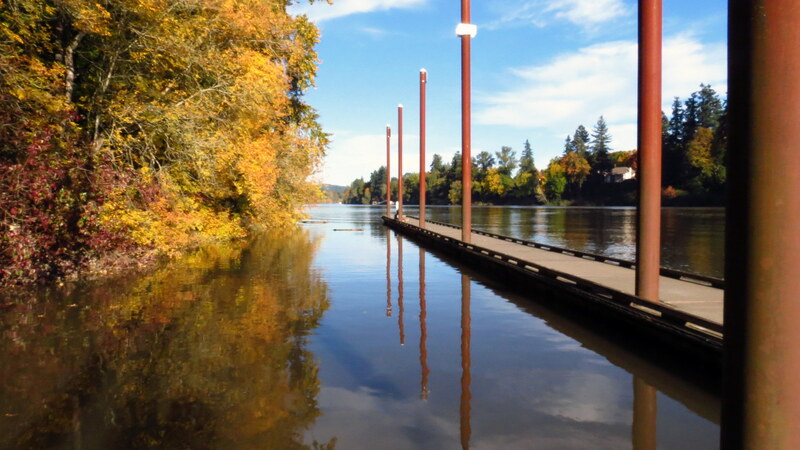 The action authorizes staff to obtain a $3.8 million bond to fund this critical $8.9 million infrastructure development project; other funding sources include Wastewater and Stormwater System Development Charges, reserve fund and contributions from Willamette Water Supply Program (WWSP). Additionally, a Supplemental Budget Adjustment was approved to accommodate several projects, including the installation of bathrooms at the Memorial Park site of the community garden and future dog run. Mayor Knapp recommended the appointment of Olive Gallagher to the Community Enhancement Committee, receiving the unanimous support of Council. Council approved the appointment of Assistant City Manager Jeanna Troha as City Manager Pro Tem, April 1-5, while City Manager Bryan Cosgrove is unavailable. Prior to the meeting in a work session, City staff provided updates on a pilot program with PGE to install LED street lights and proposed revisions to City Code regarding System Development Charges. Community members can watch a replay of all or a portion of the City Council meeting on Comcast/Xfinity Ch. 30, Frontier Ch. 32 or on the City’s YouTube channel: ci.wilsonville.or.us/WilsonvilleTV.